Every Sunday after church, CJ and his grandma ride the bus across town. But today, CJ wonders why they don't own a car like his friend Colby. Why doesn't he have an iPod like the boys on the bus? How come they always have to get off in the dirty part of town? 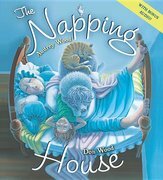 Each question is met with an encouraging answer from grandma, who helps him see the beauty--and fun--in their routine and the world around them. 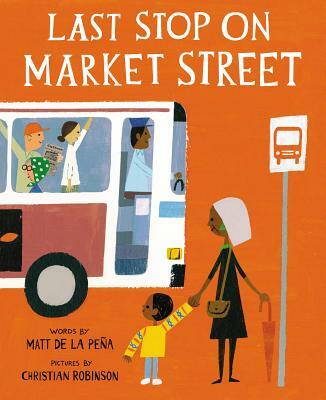 This energetic ride through a bustling city highlights the wonderful perspective only grandparent and grandchild can share, and comes to life through Matt de la Pena's vibrant text and Christian Robinson's radiant illustrations.